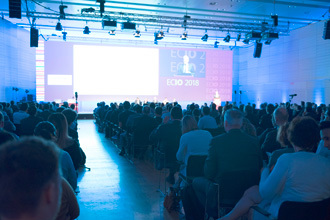 Interventional oncology is a vibrant and fast growing specialty and ECIO offers it's corporate partners a unique opportunity to engage a truly international and diverse segment of this medical field. Renown for it's delivery of excellent scientific education in a variety of formats, we are pleased to count on a number of oncologists, radiotherapists and surgeons amongst the a truly interdisciplinary faculty for 2019's congress in Amsterdam. Our sponsorship packages have been specifically tailored to suit a variety of strategic needs, and include the appropriate marketing tools to assist you with promoting your presence. For those wanting to boost their presence, we offer a range of additional and exclusive marketing options to catch delegates' attention and drive interest in company activities at the congress.